Last week, a white woman went on a racist rant against African-American and Hispanic employees in a Chicago store because they had asked her to buy a large shopping bag. The rant, part of which was captured on video and posted to YouTube, lasted for 45 minutes, though only 10 minutes of the rant was posted online. During this time, several people tried to intervene on the employees' behalf before police at last arrived. 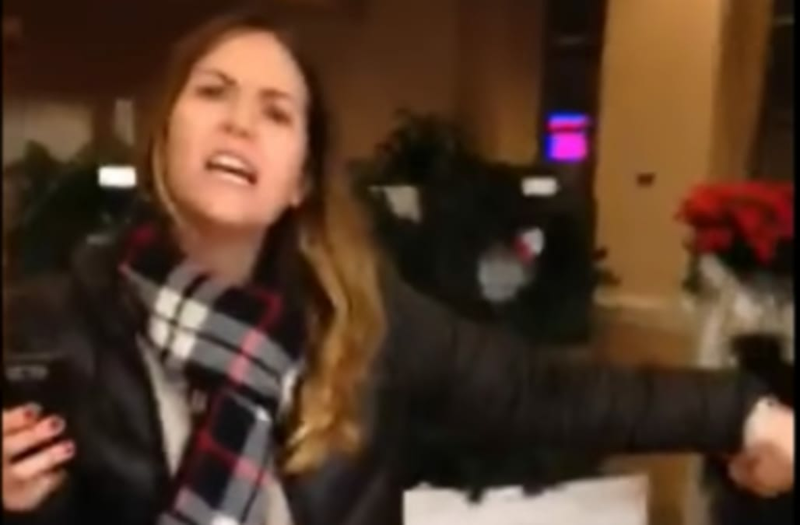 Racist entitled white woman attacks African American & Hispanic employees in Chicago store. Shouting she voted for Trump, African Americans discriminated against, her, reverse racism, calling them animals, etc., because in her words – they asked her to buy a large shopping bag. This is only 10 minutes of the almost 45 minute ordeal this woman put the employees of this store through. Several customers tried to intervene and waited until the police arrived (45 minutes later) so we could speak up for the employees of this store.